The X7 is BMW’s largest SUV offering, a kind of raised, seven-seater, 7 Series that can occasionally take you off the beaten path. And this status as flagship high-rider is visible in its exterior design (that makes it look just that little bit more exclusive and expensive than an X5) and inside where you can get power-everything and many of the same options that are available on the 7-Series sedan. To be fair, though, the interior looks pretty much identical to that of the X5, but that’s by no means a negative point. The more powerful 4.4-liter, twin-turbo, V-8 in the X7 50i has 456 horsepower and 650 Nm (479 pound-feet) of torque, and it cuts the sprint time to 5.2 seconds. 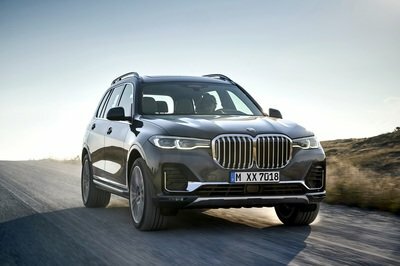 In Europe, it’s also available with a 3.0-liter diesel in two states of tune: 30d and M50d - the latter packs 394 horsepower, and it can launch the X7 to sixty almost as quickly as 50i V-8 gasoline engine. We’ve tried this power plant in the X5 and 5-Series and found it seriously fast - we even reckon it’s probably the best performance diesel engine ever made. On the move, reviewers are saying the X7 is very agile and easy to drive quickly. 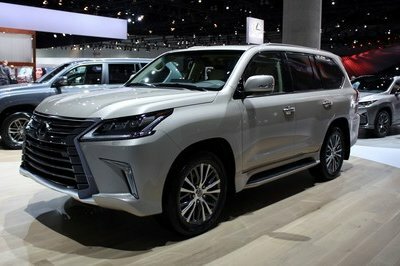 It’s also reportedly very comfortable (probably a more important trait in its market segment) thanks to standard air suspension. Space for passengers in the third row is also apparently very good and actual full-sized adults can travel back there in relative comfort. The side window for the third row is also quite big, and it makes a big difference, as does the optional third-row panoramic roof that lets additional light in to keep the feeling of claustrophobia to a minimum. 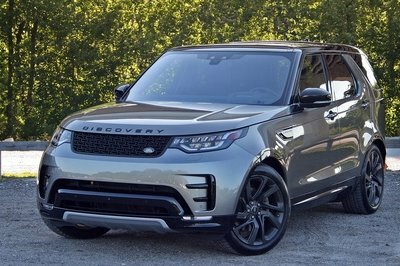 In case you were wondering what rival models the X7 is going up against, those are the Mercedes GLS, Cadillac Escalade, Lincoln Navigator and, last but not least, the Range Rover Sport (it’s smaller, but still has an optional third row). 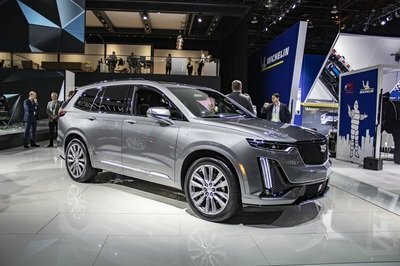 Compared to most of these vehicles, bar the surprisingly capable Navigator, the X7 looks like a far more modern option, and there’s really no reason for it to not become a hit in the segment. 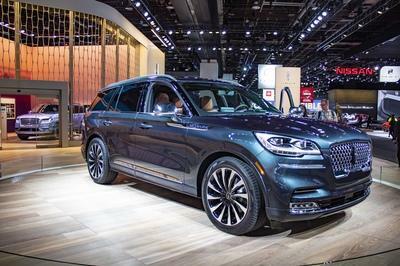 Reviewers pretty much unanimously like it for what it is, at least after their first encounters with the largest BMW SUV ever. 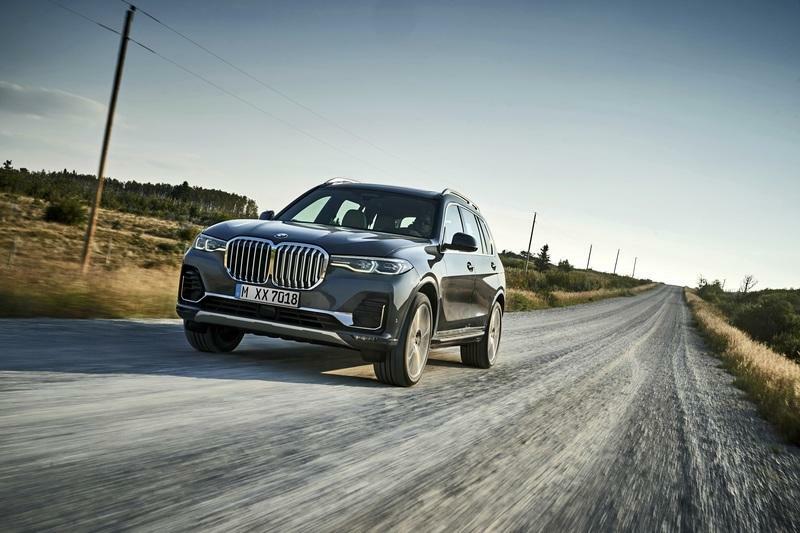 2019 BMW X7 review – the best seven-seat SUV on sale? | What Car? 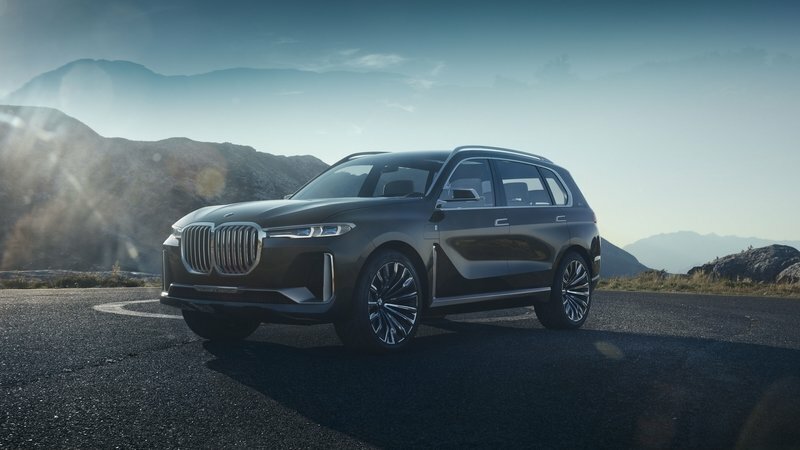 Read our full review on the 2019 BMW X7. Read our full review on the 2017 BMW Concept X7 iPerformance.